The children in Mrs. Silva’s class are working on a project about community helpers, guided by the question, “Who are the community helpers in our neighborhood?” During this project, the children are investigating the local post office. With guidance from Mrs. Silva, the children recognized that a mail carrier delivered mail to the school office each morning. The children wrote him a note and asked him if he would visit the classroom to talk about his work. The mail carrier, Jim, agreed. He came to the classroom one morning and told the children about his job, showed them his mailbag and uniform, and even let them look at his mail truck parked out front. The children are now very excited to learn more about postal workers. Mrs. Silva started the students’ investigation of the post office by reading aloud a book called Delivering Your Mail: A Book About Mail Carriers by Ann Owen. She and the children also created a classroom mail center. 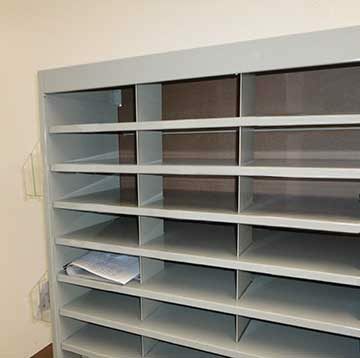 In the mail center, children can write letters or make drawings for each other, place them in envelopes, and address the envelopes to classmates using their first names. Paper and envelopes in a variety of sizes are available. Children can place finished mail in the large blue mailbox they created; it resembles the public mailboxes they spotted during their walks around the neighborhood. Each student also has an individual mailbox, labeled with his or her first name. Mr. Chung used an old shelf of cubbies to create these mailboxes; they resemble the teacher mailboxes that students have seen in the school office. Names and children’s photos are listed alphabetically by first name. Mrs. Silva plans to have children use pieces of mail during a small group activity focused on classifying materials by characteristics and attributes. Throughout the school year, children have had several chances to explore and discuss the attributes (color, shape, size, weight) included in this benchmark. They also regularly work with letter identification activities and have started to work on concepts such as alphabetical order. We will show how Mrs. Silva and Mr. Chung facilitate this activity while integrating the targeted benchmark. Aiden has a diagnosis of hearing impairment and has a moderate hearing loss in both ears. He wears two hearing aids. His parents want him to receive speech-only instruction. Olivia, a child with Down syndrome, has a developmental delay. Most of her needs are related to cognitive skills and self-help skills. Reggie has a diagnosis of autism. He has advanced verbal skills but has trouble staying on task for even brief periods of time. He is very directive with peers in play situations and is resistant to changes in routines. Because some children occasionally exhibit challenging behavior during small group lessons, Mrs. Silva would like to implement strategies to address those behaviors. The children are working on a project about community helpers in their school’s downtown neighborhood. Their project’s guiding question is, “Who are the community helpers in our neighborhood?” So far, the children have walked through the neighborhood and discovered a post office, a fire station, and a small public library. The children voted to do a project about the post office. To prepare for the project, Mrs. Silva has gathered the materials needed to turn the dramatic play area into a post office. She plans to convert the dramatic play area as the project evolves over several months and the children focus more intently on specific community helpers. Mr. Chung has visited the school library and the local public library and gathered a variety of books about community helpers; these will be placed in the classroom’s book center. Mrs. Silva and Mr. Chung also have set aside planning time each week to brainstorm ways that project-related materials can be incorporated into other classroom centers. To represent the post office, they will add packages to the math and science center to be measured and weighed. Mrs. Silva’s district uses a state-approved developmentally appropriate curriculum. Mrs. Silva and Mr. Chung perform universal screenings three times per year (fall, winter, spring) for each of the preschool children. This is a 10–12 minute activity. A small group of 4–5 children meet at the center. Mrs. Silva designates one child as the “mail carrier” and he or she goes to the large mailbox to pick up the mail, using the basket, and brings it to the large group. Mrs. Silva gives one child the role of “mail carrier,” and that child is able to take on an extra responsibility in the group. Sorting mail by attribute (color): Mrs. Silva calls out requests for mail according to color (e.g., “Find mail that is blue. Put it in the basket in the center of the table.”). 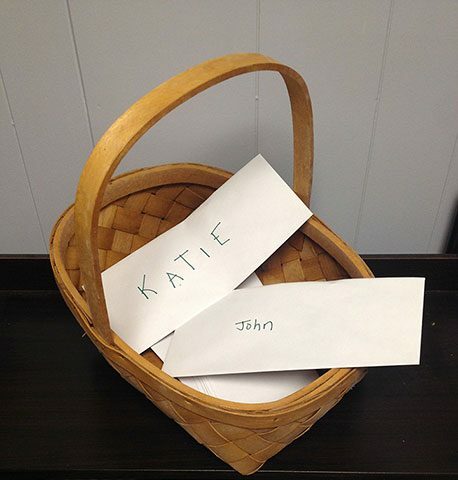 Children look at their mail, find all their blue envelopes, and put them in the basket. (Mrs. Silva repeats this process until all colors of mail are in the basket). Describing mail (by color, amount, shape, size): Mrs. Silva redistributes mail, again aiming for variance. She goes around the group and asks each child simple questions about attributes. Some questions relate to only one piece of mail (e.g., “What color is your letter?”), while others relate to the entire stack of mail (e.g., “How many letters do you have?”). Children have the opportunity to describe their mail by answering these questions. Mrs. Silva provides each child with several turns, making sure to address all attributes with each child. Comparing mail by size: Mrs. Silva asks each child to choose a letter and compare it with a peer’s letter. She asks: “Which letter is bigger?” Children hold their letters together and make a decision about which is bigger. Children can identify whether their letter is bigger, smaller, or the same size as a peer’s letter. The child who retrieves the balance scale takes on a “helper” role in the small group. Ordering mail alphabetically: Mrs. Silva instructs children to choose one piece of mail from their stacks. She and children walk to the individual student mailboxes. Mrs. Silva slowly reads the names on each mailbox, going in alphabetical order. When a child realizes that the name on his or her letter matches the name and photograph on a mailbox, that child gets to “deliver” the mail. Mrs. Silva provides comments during this activity to help children learn the concept of alphabetical order (e.g., “Abe’s letter was delivered first because A is the first letter of the alphabet,” “Violet’s letter was delivered last; V is near the end of the alphabet”). Mrs. Silva and children return to the table. Mrs. Silva asks a new child to be the mail carrier. That child returns the mail to the large mailbox so that the next small group can do the same activity. The child who is the mail carrier assumes a leadership role in the group. Mrs. Silva has a checklist. She uses this to record each child’s ability to sort by color, size, shape, letter name, and weight. By asking intentional questions throughout the school day, Mrs. Silva provides opportunities for children to express their knowledge about objects’ attributes in a variety of learning contexts (e.g., children describe their coats at arrival time, answer questions about objects’ attributes during project work, and describe snack foods in terms of size and amount). This lesson was written in the context of Mrs. Silva’s preschool classroom. We now offer some general suggestions of adaptations you may use in your classroom. 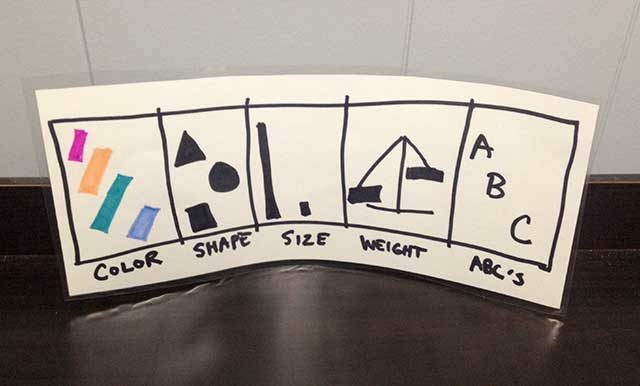 Teacher simplifies child’s task of describing colors by offering two choices (e.g., “Is the envelope red or green?” instead of “What color is the envelope?”). After the child correctly identifies the color, the teacher verbally models and encourages him to describe the letter to his peers, using a short sentence (e.g., “This letter is red!”). Child has receptive understanding of directions (e.g., child holds up a red envelope when asked in English), yet responds to questions in home language. Teacher validates and encourages child’s response in home language (e.g., gives him a thumbs up and responds with “Si, roja” when he answers a question). She also models the correct response to the question in English (e. g., “The letter is red”). Child has advanced verbal skills but has trouble staying on task. Teacher uses visual support to keep the child on task during a small group activity. She provides a schedule card using key words and icons (color, shape, size, weight, ABCs) to outline the schedule for the small group activity. 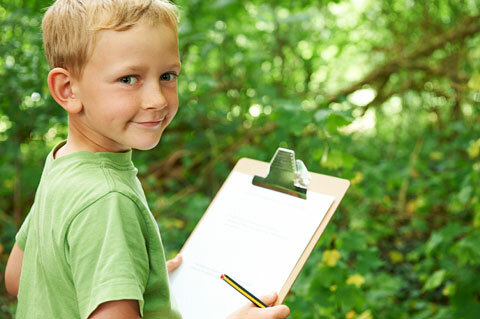 When the child seems distracted, the teacher points to the schedule to redirect child to the activity. Child wears two hearing aids and is receiving speech-only instruction. The child also can read lips. Teacher positions the child so that she faces him when giving instructions to the group or individually to this child. She encourages peers to do the same. Throughout the activity, the child leans back in chair (danger to self) or kicks other children under the table (danger to others). Providing a social story about how to participate during a small group. 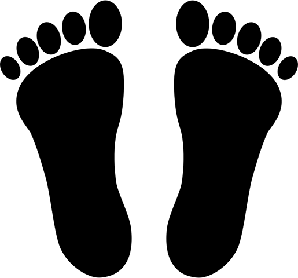 Placing “footprints” on the ground so that the child has a designated place for his feet. 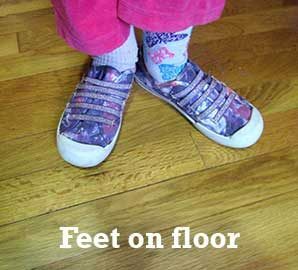 Providing a visual support—a card with the words “feet on floor” next to a photo of child’s own feet on the floor.